We are about two months into school now, and to say that life has gotten a little crazy would be an understatement! Not only have we completed first round interviews for most companies, but the first round of exams has happened as well. With recruiting dinners two or three nights a week and studying after those, it’s a struggle finding free time! 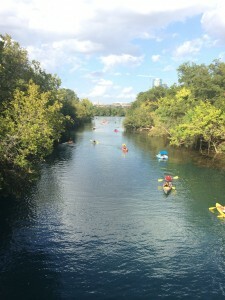 However, I always believe in making time for yourself, so despite everything that has been going on, I have been sure to make time for myself to continue exploring Austin’s treasures. 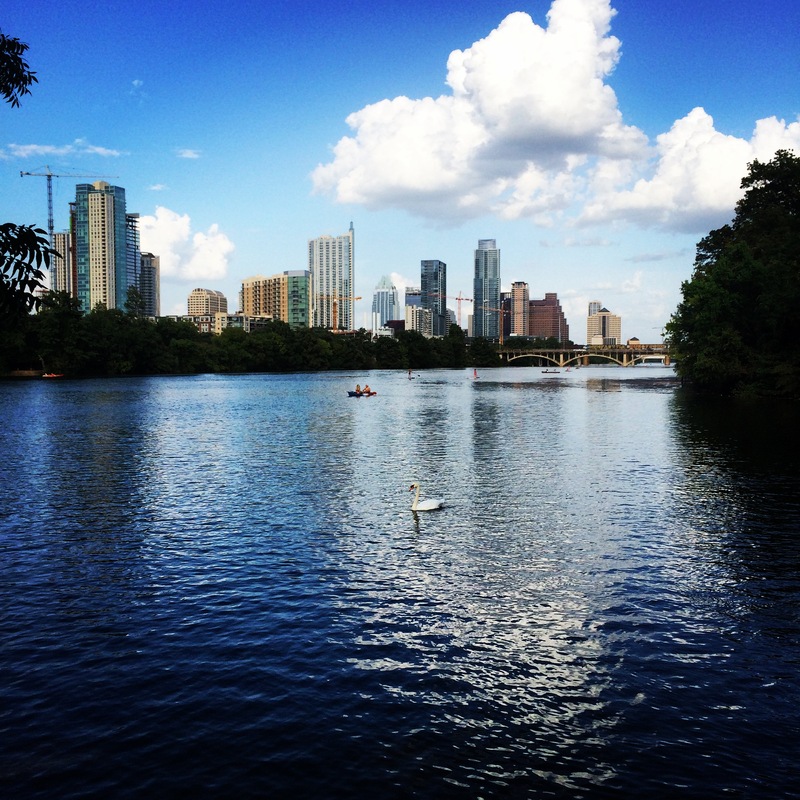 One beautiful Sunday afternoon, a fellow MPAer and myself indulged in some stand up paddle boarding, or SUP as it’s called here in Austin! We rented from Rowing Dock, which is right on the Colorado River. I highly suggest that you try this at least once, as you not only get to enjoy the beautiful nature views and refreshingly cool river, but you get a great workout as well! It’s also a chance to get away from the stresses of class and interviews and get to know your classmates. On a Wednesday evening, a group of us went to Pluckers for trivia night. This was a great night to enjoy some great food and company while also stimulating the brain cells! The questions ranged on difficulty and category and it is fun to see what crazy things your friends know. Don’t be surprised when two guys in your group are able to answer every question in the Dragon Ball Z category (don’t worry, that was a special category for the night we were there)! Even though the CPAs (our group name) didn’t win that night or even come close, it was still a great time to let lose with friends! Just one more thing to explore! If you have kept up with my blogs (which you should), you know how much I like food and exploring Austin’s different restaurants. Last night I had one of the most amazing burgers I’ve ever had at El Sapo Botanas y Burgers. The atmosphere was great and outdoors, and you will definitely leave super full and satisfied! 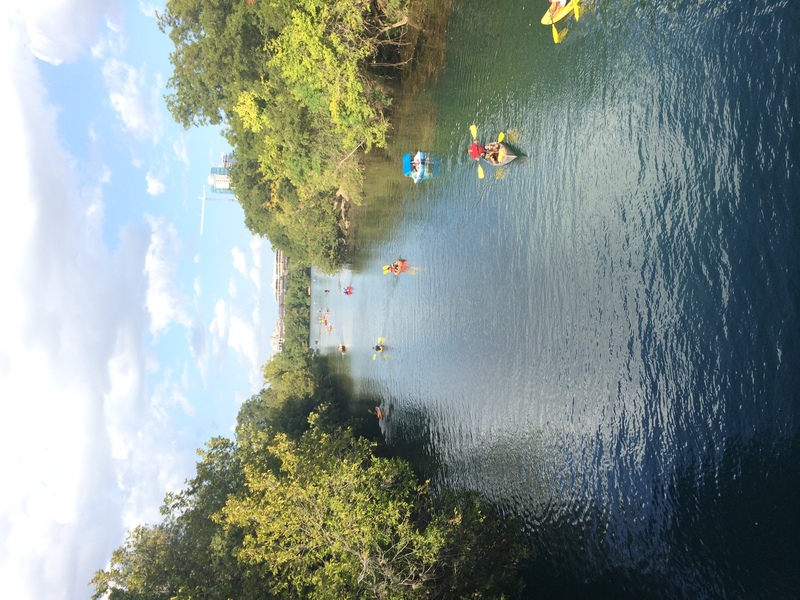 All in all, Austin has been amazing in every aspect. Be engaged in your classes, don’t limit yourself when it comes to jobs because the opportunities are truly endless, and don’t forget to take time for yourself to enjoy some trivia or water activities while indulging in some great food! !